In another post I mentioned a few pipe makers that I liked and someone asked if I knew of any more. Well, here's a listing of makers of pipes that I own and can recommend. +1 to the TRG! Great list, bigvan! Wow, I never knew there were so many American guys making pipes. Guess I will have to start looking at adding some to the collection. Thanks for the list Bigvan. I think I've taken photos of most of the pipes from the carvers I listed. See my previous posts (I don't want to burn up Kevin's valuable web space by double posting photos). JPBerg, I've never seen any of Sasquatch's pipes in person but have heard quite a bit of buzz about him on the net. What's that bluish ferrule made from? I like it. Lee Von Erck in Michigan makes some amazing pipes as well. I have one he made back in 98 that is an amazing piece of brair. Great thread. This one is getting saved in bookmarks. Thanks for the list. These guys produce some beautiful work. Paul Bonacquisti, Rolando Negoita, Tim Hynick, Colin Rigsby, Robbie Cippola, Premel Chheda, Tim West, Michael Lindner are just a few more that are excellent U.S. pipe makers that do some beautiful work. It would be quite a collection to have a pipe made by every known pipe maker for sure. Beewrangler, that's a very interesting Von Erck pipe... I've seen his smooth and blasted pipes, but never a partially rusticated. 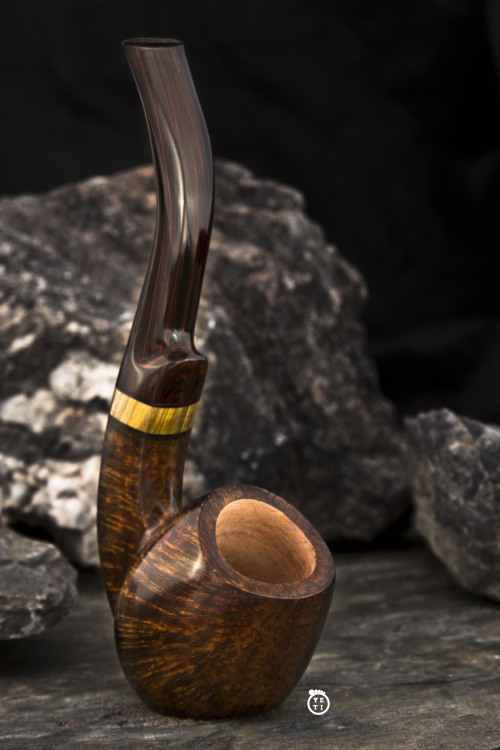 "It would be quite a collection to have a pipe made by every known pipe maker for sure." That's my goal. Well, maybe not EVERY known pipe maker, just the ones I like. Sigh - forgotten again. I guess I have to toot my own horn. It's not that you were "forgotten" Craig. I listed the names of carvers of pipes that I own. I just don't own any of your pipes. At least not yet. Nice additions, Adam. And thanks for correcting the spelling of Dr. Bob's name. I'm hoping at least a few of these guys show up at the Columbus show in a few weeks. Bigvan, just a point of clarity - the pipe above JPBerg's post is not mine, it apparently is Mr George's work. I'm not big on self-promo on these boards, it's not my primary purpose here. But here's a whopping photo-opus of some of my pipes. Sasquatch, is an amazing pipe maker. I would love to have one of yours someday actually. Bill Shalosky is a great pipe maker, he works out of Premal's shop (Smokers Haven in Col, Oh). Sorry for the misidentification, Sasquatch. I'm easily confused. I'm real fond of BriarBird pipes myself!! Who the hell is BriarBird? I do know a B.B. who makes pipes but I have no evidence linking him to this username. Now I'mthe one who's confused! Briarbird is a ghost. He is a rebel, an icon, a modern bird for a modern age... he is out there alone, going rogue, operating beyond the pale of all acceptable bird conduct. He speaks for only himself. He's a rock star ninja bad boy who doesn't play by ANYONE'S rules. Not even his own! Wow. That's a pretty impressive resume. I guess really I'm asking if his name is Bill. Possibly he goes by mighty ninja madman Bill around here??? Hi Sasquatch, I am J. Cochey and I am Briar Bird. 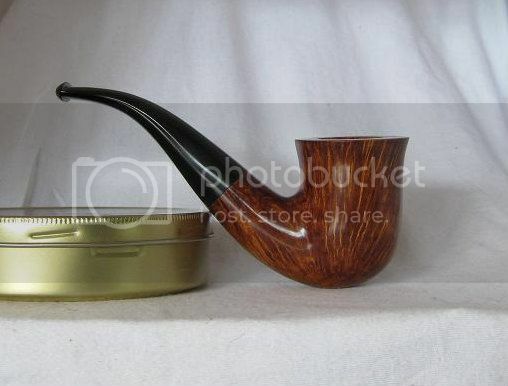 I am not famous, nor an enigma I am a begining pipe carver and I love your work. Pleased to meet you sir. Seems you've got the enigma and uber-man thing working for you here already - it may be too late to avoid fame and fortune! Sasquatch, what is the name of your company? I don't have any of his pipes, but they are gorgeous! The yeti and sasquatch are great craftsman.in addition they have helped more pipe makers and new to carving,aspiring pipe makers then you can imagine. 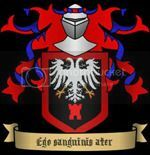 Saquach is one of my heroes.He talks to the briar.well, guess I do too. You guys forgot canoy .:. Some of us never forgot you walt.everybody can disappear once in a while.Plus your work is even better than ever. Anybody know of anyone in MO? Brian Kalnitz - Smoker's Haven in West Seneca, NY and his father Milt Kalnitz of Bellezia Tobacco shop in Buffalo, NY. They have made most of my pipes that I have owned over the last 40 years. Uses Grecian Briars and make some beauties. Great smoker's too! did anyone mention Jesse Jones Pipes yet? I'd like to send a little attention to Hekthor Wiebe from Canada. I don't own one yet but it is next on my list. He is a member of another forum...I haven't seen him around here, though. I didn't see Colm Magner of Canada mentioned, but he's been out of the game awhile now. RIP Steve Weiner from Ohio (2002)one of Steve's rusticated billiards is the best all-around smoker in my rack. Guildpipes, Melbourne fl. J. Fordham. Hi Sasquatch, I am J. Cochey and I am Briar Bird. I am not famous, nor an enigma [;)] I am a begining pipe carver and I love your work. BriarBird you are a cool dude! My personal fav - Randy Wiley and I also didn't see Don Warren mentioned yet. Love this thread. Thanks for the education. 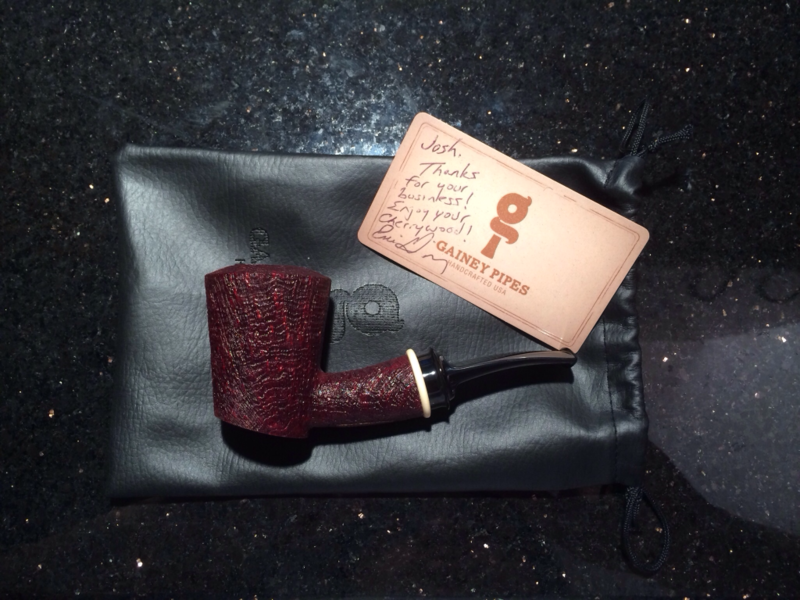 I bought a Cherrywood Poker from Eric Gainey (http://www.gaineypipes.com/) a few days ago and can't wait to smoke it for the first time. Great work from an up and comer. Rich Lewis is a great guy, nothing but good vibes from that gentleman and his son. Have some of those makers myself bigvan but thought I' add one David S. Huber http://www.dshpipes.com he's in Chicago, IL and some day one of his pipes will grace my racks. And one correction to a previous post - David Huber is now in NC, living not that far from me. He just moved down here last week and we just spent Saturday over at Pipe & Pint talking pipes. He's setting up his new workshop now. I always find myself coming back to it as a sort of jumping off point. 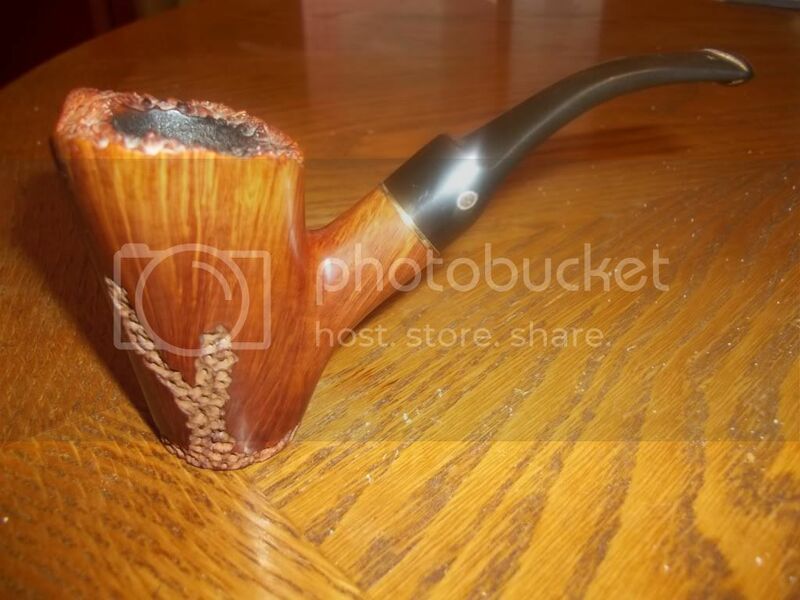 I've been really happy with my first pipe purchase a Dr. Grabow Freehand. The Freehand looks great and smokes better each bowl. I highly recommend for the price and do yourself a favor and remove the filter. I've never done a filter after the first smoke. I got an MM cob that I do samples and quick smokes in. 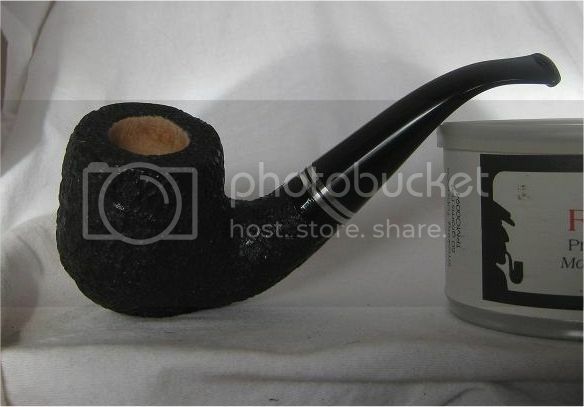 However I do my favorite baccis and long smokes in the Freehand (1 to 2 hrs) due to cadence and large bowl. I've recently found out about Rich Lewis in Minneapolis, MN which is 20 min away from me. Needless to say I have a piggy bank started to acquire one of his fine works soon! I will soon visit his shop for I have only seen it via the net. He seem reasonable since his pipes are in the $250 to $500 range! David Jones ebay only; Ernie Markle-Phoenix; Boswell-Pennsylvania; J.T. Cooke-Vermont; Will Purdy; Michael Lindner; Jon Rinaldi; Kevin Arthur; Adam Davidson; Alex Florov-Illinois; J&J Pipes-California; Maigurs Knets; Scott Klein-Chicago; Jaden somebody in Hawaii. 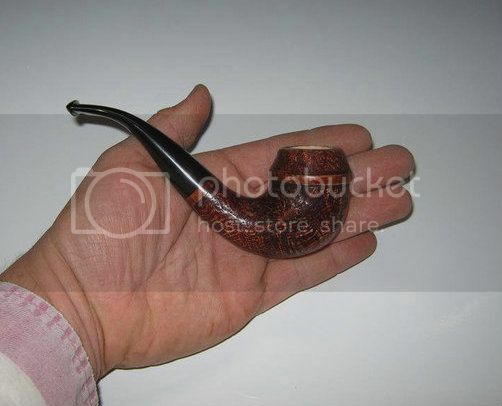 Many of the American carvers sell their pipes on smokingpipes.com. Jody Davis is now in Nashville, and I think Roswitha has retired. Some recent carvers have dropped out or gone part time. 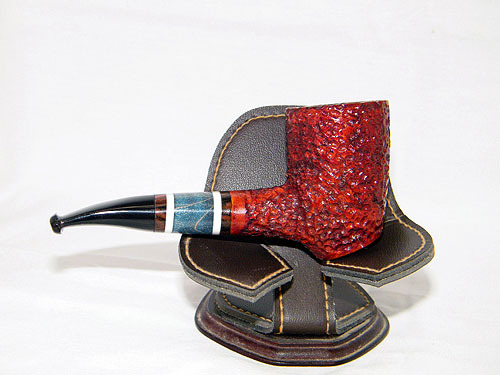 You can get more from NASPC and the Chicago pipe club. Smoke with peace and pleasure. Wonderful thread. A great thread to reference when you're shopping. I've been introduced to Abe Herbaugh's pipes and they are amazing smokers as well as attractive and comfortable. To me he is similar in style and engineering to Scott Thile. Maybe Scott helped him out at some point. I have a pipe from each carver that are so similar that it would be hard to even tell them apart except for a very slight difference in finish. In Arizona, there's Scott Hudson. I've got a Poker on the way from him. It'll be my first handmade pipe. This fellow is from kalamazoo michigan. He is part of my pipe club and I own one of his pieces. Smokes very well, just wanted to help him out and help you all out with a phenomenal pipe artist. You can also find him on facebook at "RobE's Art".